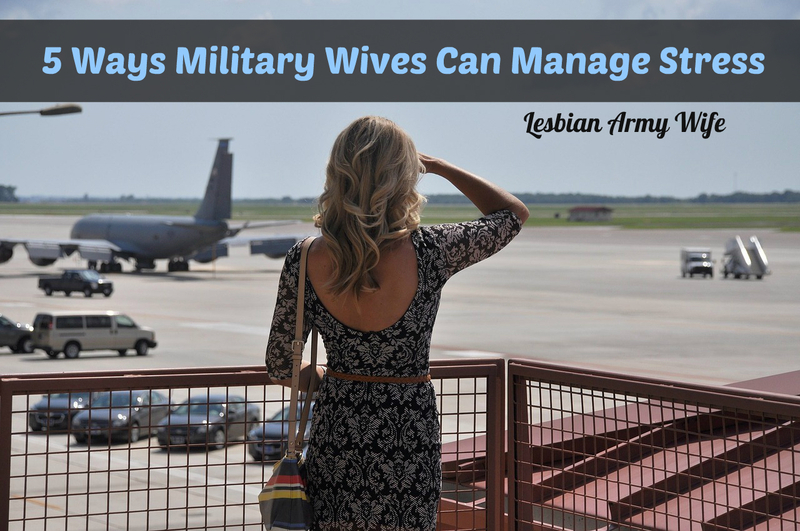 As a Military wife stress can come with the territory. Usually many things happen all at once and create a chain reaction leading to stressful situations. “When you are stressed, your body responds as though you are in danger. It makes hormones that speed up your heart, make you breathe faster, and give you a burst of energy. This is called the fight-or-flight stress response.” Think about all the things that happen in your day. Can you relate? Are you under pressure and stressed out? I am here to explain what stress is, what it can do to you, and what to do about the dreadful effects of stress. I’m always browsing the web looking and reading everything. I came across an online pamphlet and I just love how the Army Community Services in Hawaii explains that, “Stress affects almost everyone. Sometimes, it can be a good thing because it can energize us to meet new challenges or changes. But if it’s not managed, stress can affect your physical and emotional health, your relationships, and your life. The first step in managing stress is learning how to become aware of it in you.” Prepare to do some learning. Recognizing the signs of stress and some common physical and emotional symptoms can help determine what you can do to minimize stress or stop it before it begins. You can also take the WebMD test now How Well do you Handle Your Stress? This test can help you understand in more detail about your stress and what to do. Now that you know the basics about stress and how it can affect you, here are 5 ways you can manage stress in your life. 1) Confront Stress it at the source! How you felt, both physically and emotionally? How you acted in response? What you did to make yourself feel better? 2) Take care of yourself! Find the local base fitness center or jogging trails to exercise for free. Join a yoga or Zumba class in your area. If you have cable you can often use Free on Demand fitness programs. If you have the internet you can use Hulu, Netflix or Amazon Prime to browse what exercise programs are available. Exercise for 30 minutes at least 3 times per week. Another online source for exercise is Daily Burn which costs a $12.95 month for a subscription and sometimes there are 30 free trials you can try first. Some programs are even short 10 minute ones that are great for a quick workout.You could do three different 10 minute ones to get in your 30 min, even spreading it throughout the day. There are always free apps for you to use to supplement your exercise kick. Check out some free apps online at Google Play Store or Apple App Store on ITunes. Eat healthy. Our diet and what we eat daily can affect how we feel. “Food gives us the fuel to think and the energy to move our muscles. The micro-nutrients, the vitamins, the minerals are there so that our bodies can function. You need food not just to sustain health, but to feel better. The only way the body will get the many nutrients needed to stay healthy and function is by eating a wide variety of healthy foods.” says Anne Wolf, RD, a researcher at the University Of Virginia School Of Medicine. Eat wholesome meals and try to avoid too much sugar. Keep alcohol or caffeine consumption to a minimum. 3) Whether you’re new on base or not, what better way to reduce than to go check out what’s near you? Most bases have a welcome center or Self-Help Facility, utilize this benefit. Locate the Community Center and see what classes or groups are offered like arts and crafts or find playgrounds or Picnic Areas to take your kids or dogs. Sometimes you just need to buy something what better way than going to a Post Exchange or Commissary. 4) Talk to someone who understands you. Whether you need to cry, vent or laugh communicating and talking about how you feel can do wonders to relieve some of the stress that’s built up in your mind. 5) Find your favorite relaxation techniques because they are often successful for managing stress. Try meditating with deep breathing in a quite area to flush out the stress. Sometimes you just need to breathe for a second by yourself. Take a calming bath with your favorite oil or salt essentials. Get a massage you deserve it! 6) Listen to your favorite music and sing loud in the car when you are driving somewhere. 7) Keep hectic activities to a minimum daily and strategically space out important errands weekly. 8) Buy a new book or magazine you have wanted to read and don’t stop reading until you’re done. 9) Stop watching the news or look at live news streams and avoid nerve-racking shows like hauntings, murder mysteries or thrillers when your home alone. 10) Organize Your Space – Clear the cutter to live in a more harmonious home. How do you cope with stress as a military spouse? Leave a comment!